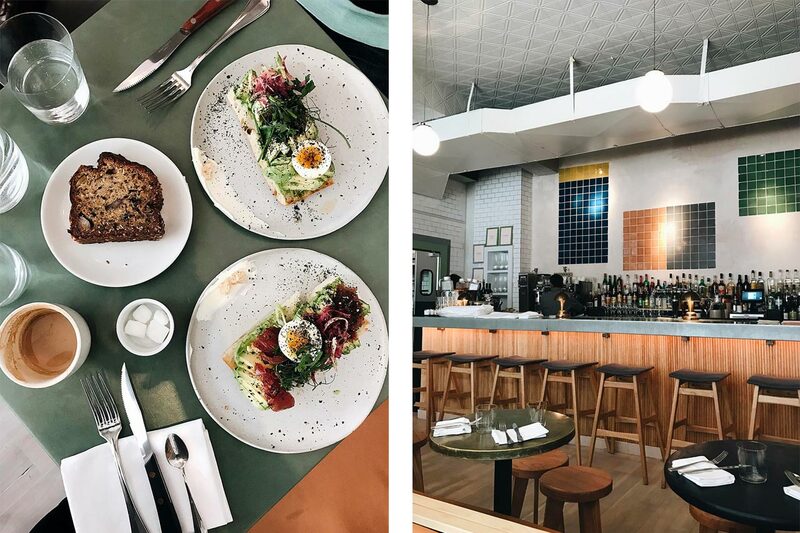 In New York City, especially, it seems that new places are constantly popping up and some of the old favourites remain obscure enough to miss. The artsy SoHo/NoLita neighbourhood in Lower Manhattan features beautiful cast iron buildings and offers a wide variety of contemporary coffee shops and restaurants, making it a popular destination for people visiting NYC. Here is a list of local gems to consider when planning your next trip to New York. Nestled in trendy SoHo, Oficina 1M is a modern, vintage café that offers a unique take on delicious Italian fare. Their brunch cocktails, featuring a variety of Bellini flavours, are definitely worth a sip or two. The menu changes often, so there is usually something new to try during every visit. Oficina 1M also offers incredibly inventive desserts and a cozy atmosphere – a must try if you’re looking to dine in SoHo. Located on Broome Street in the heart of SoHo is a tiny shop with a sign reading “COFFEE” above the glass storefront. 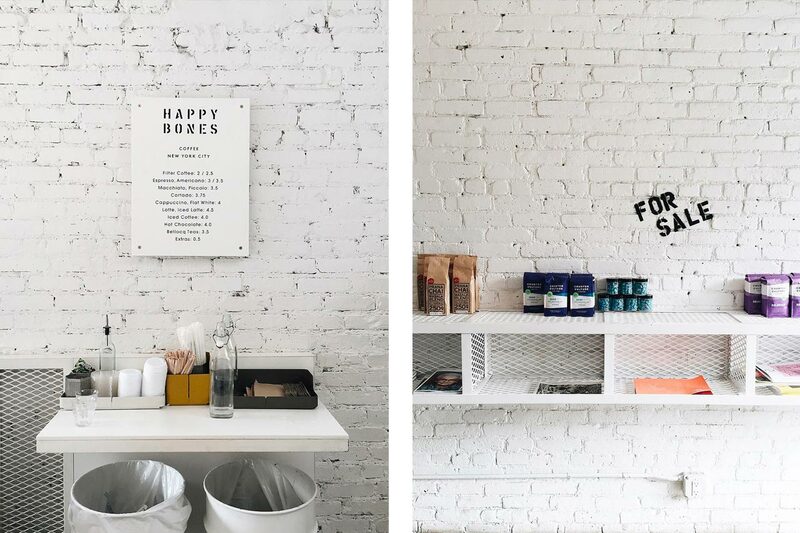 Happy Bones is a small minimalist coffee shop with only three tables. Its simplicity and clean aesthetic makes it popular amongst people looking to grab a cup on the go or meet someone for a quick coffee date. They also display local art, a variety of global publications and have some pretty cool T-shirts for sale. 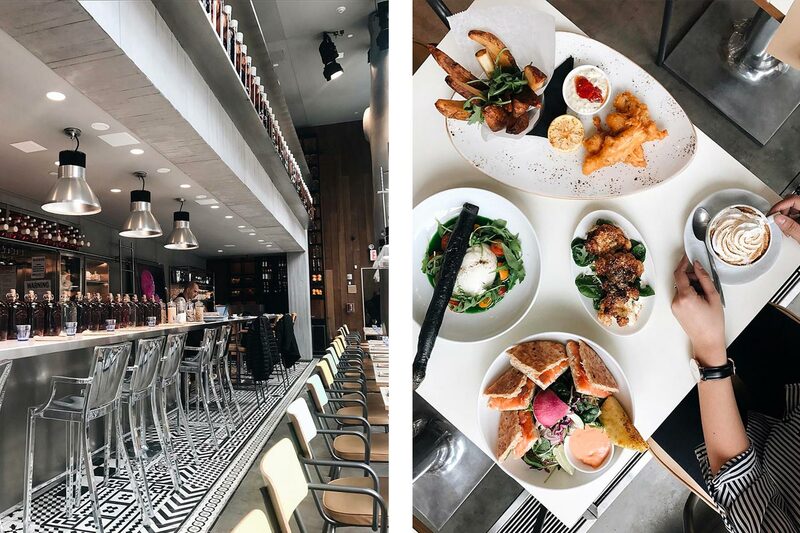 A collaboration between French restaurateur Claude Louzon and visionary talent Philippe Starck, Miss Paradis is a brand new Mediterranean restaurant located on Prince Street. 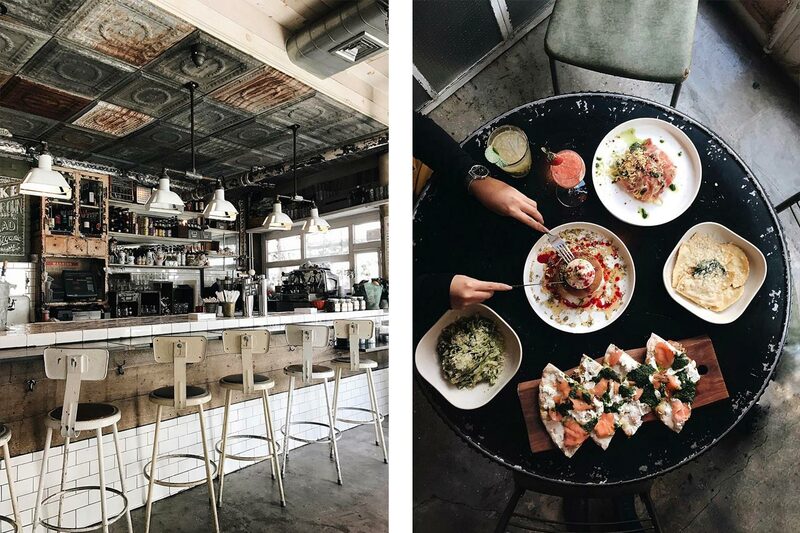 They feature a pescatarian menu with dishes that look just as great as they taste. With a gorgeous, open interior, it makes for the perfect place to brunch or lunch with a group. Enjoy an old classic like fish and chips or some of their healthy pressed juices. Their menu is light, bright and sure to make your taste buds dance. With its gorgeous backyard garden, Greecologies is a spring/summer favourite for anyone who wants a break from the concrete jungle. It’s a small oasis away from the hustle and bustle of city life. In addition to coffee, they serve delicious sweet and savoury Greek yogurt. This is one of the more spacious coffee shops in the city. De Maria is a stylish new café in NoLita. Opened by two women, the interior of the café is both minimalist and gorgeous. Their kitchen dishes out yummy, health conscious meals. 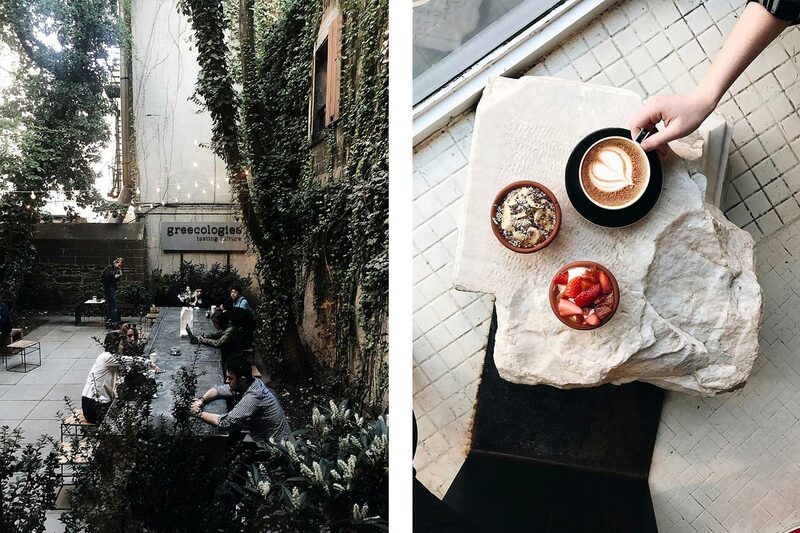 From the cute ceramic plate ware to the art on the walls, every aspect of the restaurant is a testament to the attention to detail that went into creating one of NYC’s newest Instagram-worthy cafés.